Are you looking for vinyl fence installation in Chicago? 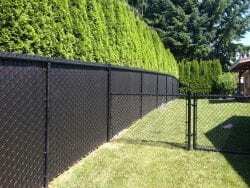 Osceola Fence Security is your premier vinyl fence contractor in Chicago. From residential to commercial fencing, we utilize leading products and techniques to secure functional and aesthetically pleasing designs. Since 1975, we have proudly served the Greater Chicagoland area with the best vinyl fencing for homes and businesses. In fact, our iron workshop has been at the same location since 1985, and we continue to receive stellar industry ratings and customer reviews. With most of our business stemming from repeat customers and referrals, we treat each fencing job as if it was our own. This means using only the highest quality of materials, along with monitoring each installation from start to finish. We also offer complimentary consultations, as well as substantial discounts for first-time customers and bulk fencing jobs. No fencing project is ever too big or small, and we are fully certified and insured to handle any size fencing job. 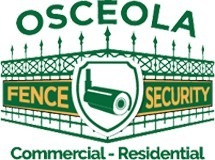 At Osceola Fence, we are committed to excellence in all services and guarantee timely deliverables for all clients. Each fencing job is also customized to meet your specific and individual demands. Vinyl fencing is as durable as it is beautiful and functional. From gates to fencing, we can easily enhance your commercial or residential property. 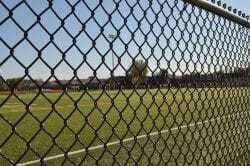 Similarly, our fences are customized to ensure optimal security across the board. No matter the style or design you seek, we can truly achieve your desired results within time and budget. We are proud to feature Buff Tech products, which offer unparalleled strength for vinyl fencing and gates. From Chicago and Hyde Park to Lincoln Park and Old Town, we can install vinyl fencing that comes with a limited lifetime warranty on materials. The latter includes fade protection, along with a one year warranty on workmanship. Our vinyl fencing also ranges from modern and contemporary to traditional styles. They are designed to provide the perfect foreground for any home or business. From traditional American white picket fences to sleek and stylish modern units, we do it all at Osceola Fencing Corporation. We also work with you every step of the way to guarantee your needs are met across the board. In addition to vinyl, we feature iron, wood and chain link designs. We are also your premier installer of parkway fencing, railings, gate operators, and commercial security gating and fencing. 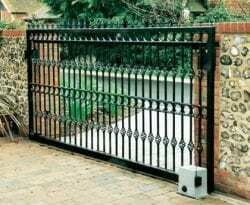 One phone call or e-mail is all you need to get the best gates from the best in the business. Call 773-278-4762 today for a free estimate!